Mercury is a naturally occurring substance, found in the earth’s crust in three different forms. For the technically minded (! ), this is as an element, inorganic ion or organic compound. It may be found in small amounts in coal, oil and gas deposits. Essentially it’s a by product of mining or refining these products. It’s also found in larger amounts in cinnabare ore, which is mined specifically for the mercury it contains. Go back a few centuries and mercury was the number one treatment for syphilis and other sexually transmitted diseases among the aristocracy. And that’s all we’re going to say on that one! In the 18th and 19th centuries, mercury was used in the making of felt, for hats. If you ever wondered where “mad as a hatter” came from, you need look no further than the chronic mercury poisoning – and early deaths – of those working in the hat making industry. Which brings us up to date and mercury’s myriad of uses including scientific and electrical equipment, batteries, disinfectants and fungicides used on crops. Why is mercury so useful? Although mercury is a metal, it doesn’t behave like other metals, being liquid at room temperature. Added to this it’s extremely sensitive to the smallest change in temperature, hence it being used in old fashioned thermometers. You know, the ones your Mum – or Granny – used to take your temperature with when you were little. And then had to shake for ages, to get the mercury back to the bottom! It’s also toxic in very small amounts. Hence its use as a disinfectant or fungicide. At one time, even as a treatment for cancer. To start with, mercury is very easily absorbed by the body, either as a gas or liquid via the skin, lungs or digestive system. Once absorbed, it tends to accumulate in fatty tissue or the organs, making it difficult for the body to release. A particular concern is that it can cross the so called “blood brain” barrier, which is designed to keep harmful substances out of the brain. It has also been linked to DNA and chromosomal damage. It is also extremely toxic in very small amounts. While toxicity referred to in “parts per million” sounds very reassuring, mercury has been linked to damage at these levels, so leading so a false sense of security. Added to this is its ability to change from liquid to gas with only small changes in temperature, making it much more easily absorbable by the body. This also makes it easier for mercury to combine with other substances. Finally, mercury is much denser than water and will always sink to the bottom of any liquid. This is a particular concern if it escapes into the environment, where it accumulates in the sludge at the bottom of lakes and oceans. And what about amalgam fillings and thimersol? Dental amalgam, often referred to as “silver fillings,” is used to repair cavities caused by tooth decay. 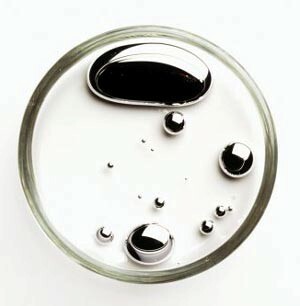 It’s made up of liquid mercury and a powder containing silver, tin, copper, zinc and other metals. Popular among dentists because it’s cost effective and hard wearing, it’s been the filling of choice for decades. While amalgam may be hard wearing, concerns have long been expressed about the release of mercury gas from fillings. This then passes through the mucus membranes of the mouth and lungs, directly into the bloodstream. If you remember that mercury is very sensitive to changes in temperature, it’s not surprising that this can occur during the ingestion of hot food and drinks. Not to mention the chewing of gum or teeth grinding. An increasing list of conditions are being linked to mercury toxicity, particularly of the nervous system, such as Alzheimers and Parkinsons Diseases. Thimersol is a mercury based preservative, found in many vaccines. We know that vaccinations can be a very contentious subject, so we’re just going to focus on thimersol rather than the whole question of vaccinations themselves. The concern is that, while vaccines may only contain small amounts of thimersol, they’re administered directly into the blood stream, bypassing all the usual immune safeguards and responses. Added to this, mercury is not a substance which would normally find its way into the blood stream, leading to a heightened immune response. Finally, in the very young or old, the immune system tends not functioning at its most efficient, so exacerbating the problem further. These are the reasons why thimersol has been linked to an abnormal immune system response, where antibodies attack the human body leading to system inflammation – otherwise known as autoimmune diseases. It has also been linked to autism and other behavioural problems in children. So are we saying that you should have all your amalgam fillings removed now and never have another vaccination? Instead we’re saying to always be aware of the risks before making a decision on any matter which could affect your health. This is particularly the case if you have an ongoing medical issue. Always do your research and don’t rely on what anyone tells you, even us (!). Just because everyone else is doing something – or it’s considered “the norm” – doesn’t mean that it’s automatically right for you.